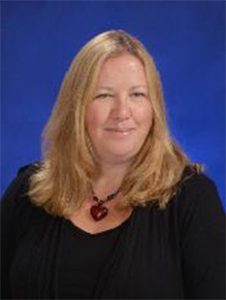 Susan Dodge-May joined Stafford in 2016 as Guidance Secretary & Registrar. Sue comes to Stafford with many years of experience as an Executive Assistant and Coordinator. Sue worked most recently for the United Way of Rutland County and the Consortium of Vermont Colleges. Sue is also Director of the Rosie’s Girls of Rutland Summer Program. Rosie’s Girls Rutland is a summer camp and after school program for middle school aged girls that introduces students to trades and engineering concepts and employment. Sue also acts as Director of the Board of The Hayes Foundation. The Hayes Foundation is a local foundation that supports gifted and talented children in Rutland County.